The first most obvious reason is that cancer is pandemic and I must take our message and mission international and next year I go to do just that. The second reason is Japan is the most progressive society when it comes to animal rights. When you lose a companion animal federal law mandates a day off for mourning. Having been there before, it’s more than that. I saw the statue of Hachiko at Shibuya Station (LINK) and his story has stayed with me since even well before Malcolm first came into my life. 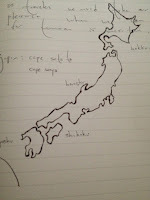 Japan is also a technologically advanced society and it’ll be a fact finding mission for me about canine cancer as well. What’s the incidence and prevalence of cancer? What is the exposure to environmental risks and what’s the difference in diet and nutrition? These things I shall discover. There are a few other reasons that, well, I’ll talk about later. 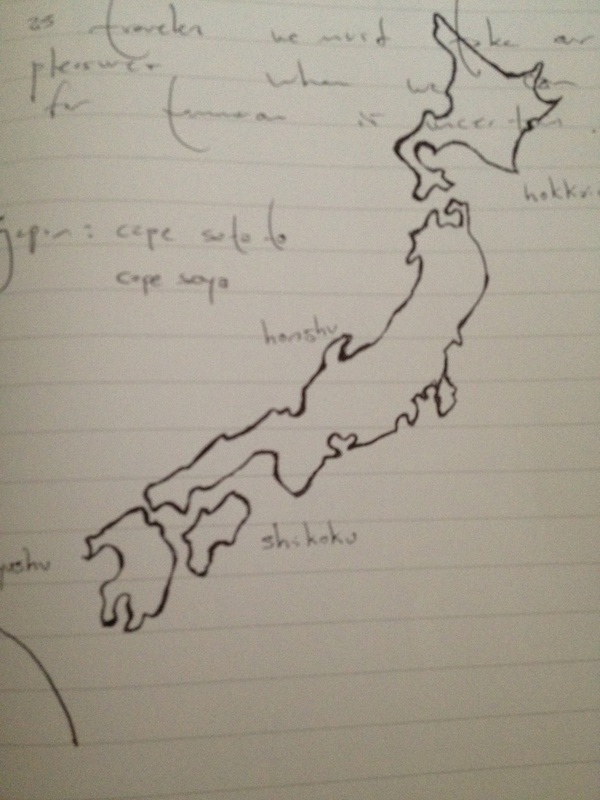 The nearby image is a picture I crudely drew in my moleskin of our next challenge, walking from the Southern most island, Kyushu, to the Northern most, Hokkaido. From cape to cape it’s roughly 2,000 miles.